Ash, a former chef, put recipes aside when she began her career in software development, falling back on her skills in engineering she acquired as a kid building computers with her brother. 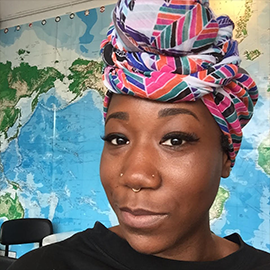 A progressive type, Ash has focused her efforts within technology on bringing awareness to inclusion of women and people of color, especially in the Context Driven Testing and Agile communities. An avid fan of matching business needs with technological solutions, you can find her doing her best work on whichever coast is the sunniest. Having helped teams build out testing practices, formulate Agile processes and redefine culture, she now works as an Engineering Manager in Quality for Credit Karma and continues consulting based out of San Francisco.